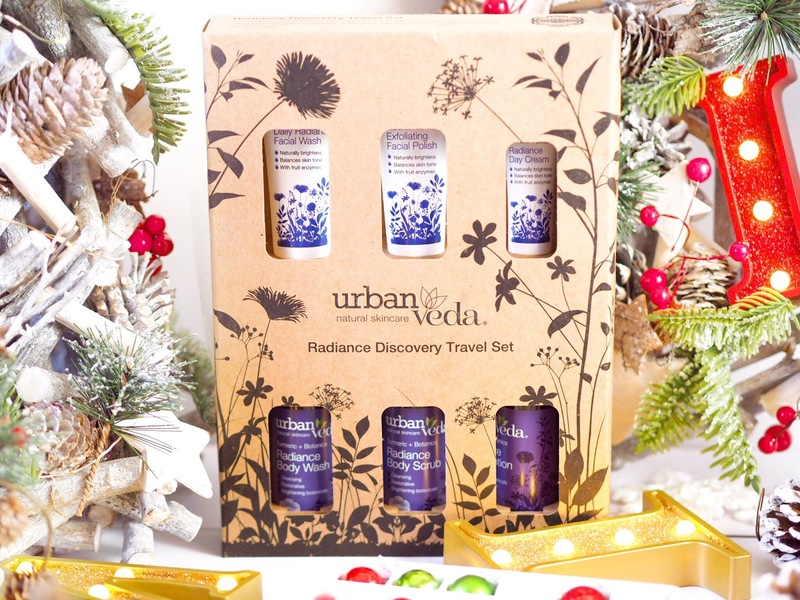 I don’t know about you, but one of my favourite things to buy at Christmas, are the gorgeous Gift Sets you can get. No matter what you’re looking for, you can usually find a version of your chosen product in Gift Set variety. The brilliance of this means that you get the usually full sized product that you were looking for, but with added items and therefore greater value – and usually for a great price that isn’t much more than the original item alone would be! For me, the Beauty Gift Sets are where I go all heart-eye-emoji. I LOVE them. My Christmas list consists of a lot of them, and I love to give them as gifts. 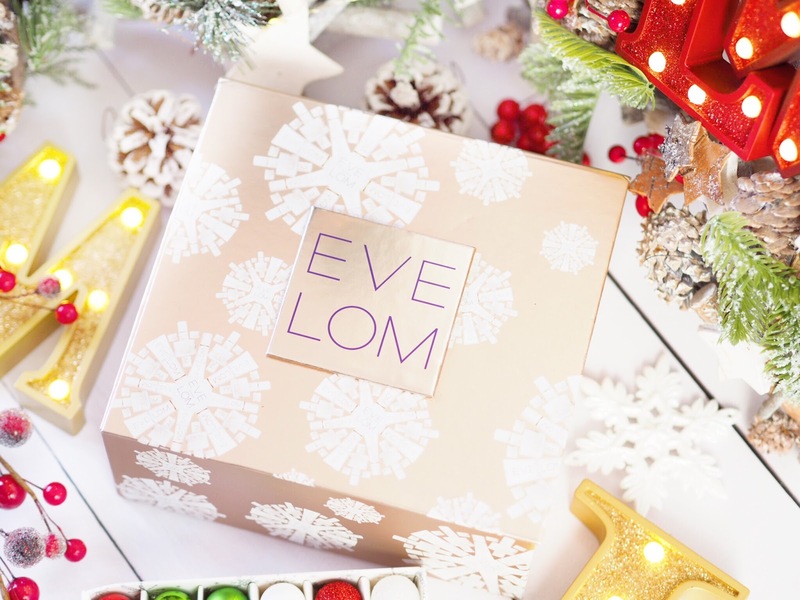 You can give someone their favourite brand or product, but with festive packaging and extra products too. What more could you want? Plus there are some for every type of budget you may have. Because everyone spends differently at Christmas, I wanted to split this Gift Guide by budget. That means there’s something here for everyone on your list! 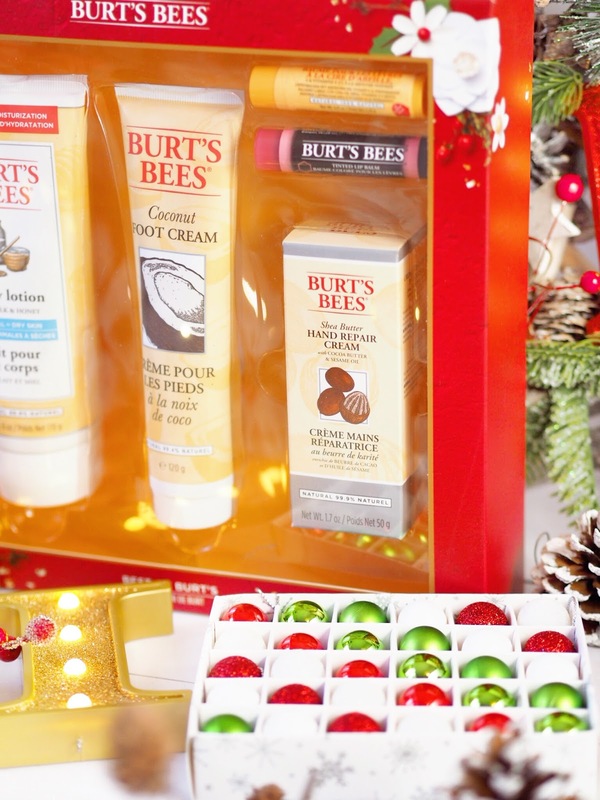 Now this little Gift Set has everything you could want in a Christmas gift! 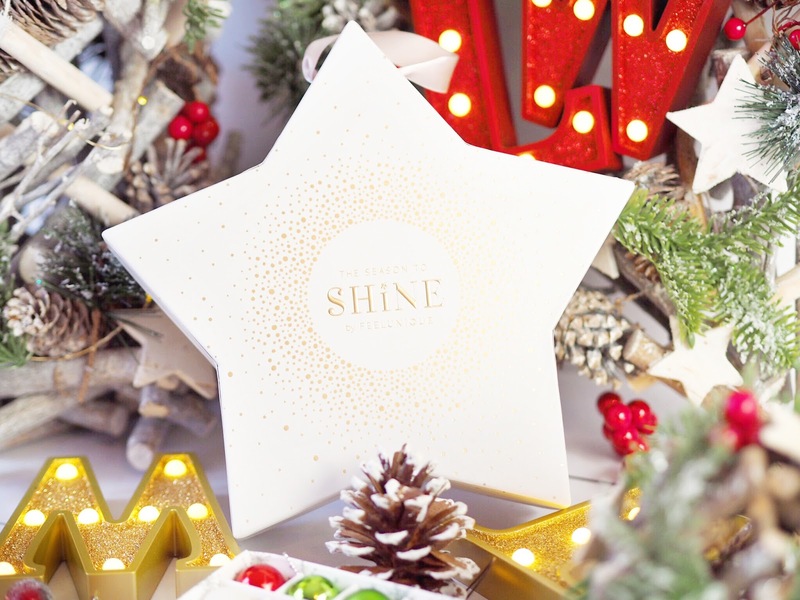 It’s festive and fun, it features great brands and it won’t break the bank at all!The limited edition Star Pamper set comes in a white and gold festive star box and contains products from Dr Hauschka, Vita Liberata, Origins and my favourite – GlamGlow! They are all small sample/travel sizes but considering they are all designer beauty brands, it’s a great way of giving a gift with indulgence, without a hefty price tag! Make sure you grab it from Feel Unique while it’s on offer! 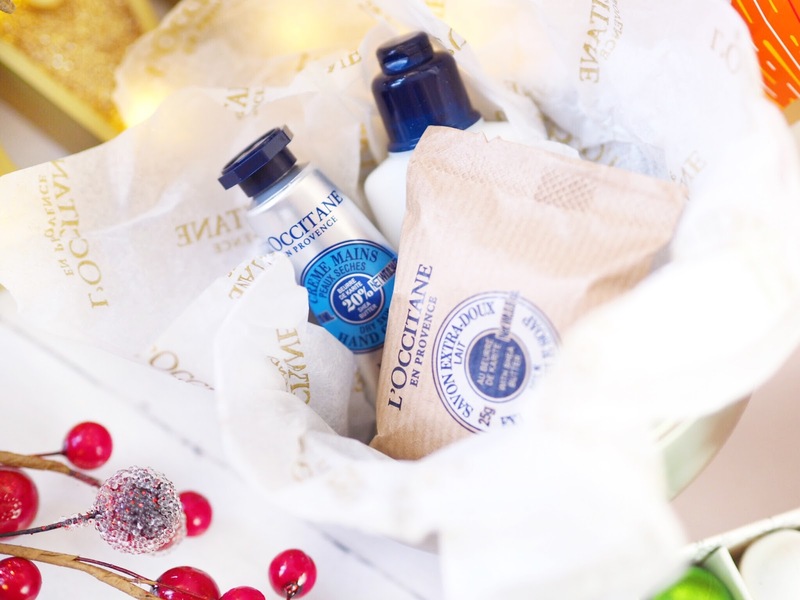 L’Occitane are a highly luxurious brand, so any gift under the tree from them will be very well received! I am so impressed with their festive bauble sets that I couldn’t not include them here. For only £12 you get a set of three best selling Shea Butter products (travel/mini size) inside a silver decorative bauble. This is an amazing gift because everyone recognizes the brand and the products are so universal that anyone can enjoy them. You’ll need to be quick with these though, as they’re so popular they’re selling out fast! 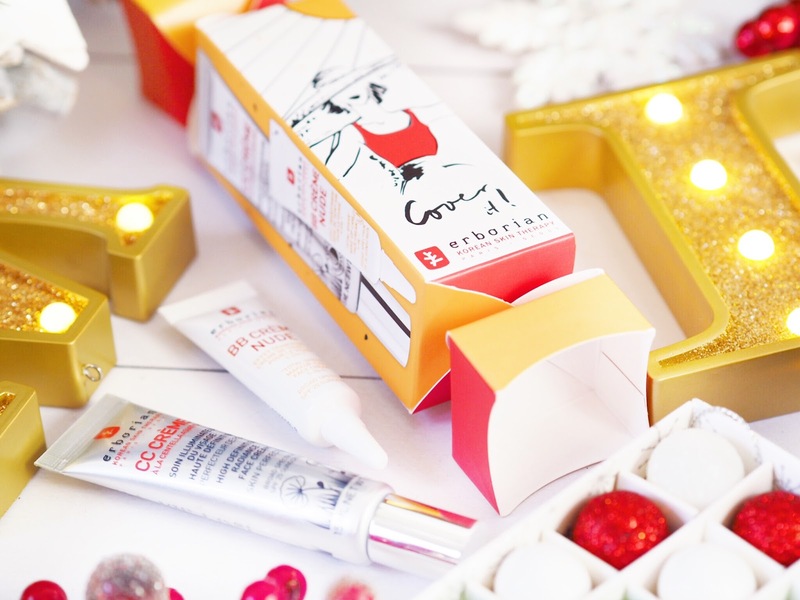 Everyone is going mad for Korean beauty these days, and Erborian was created to bring Korean beauty secrets to the mass market. This gorgeous little cracker features two of their best selling products for creating the perfect base for make-up and skincare. This one is great for Mum’s and Auntie’s etc as the BB Cream and Perfect Creme inside are designed to fight the appearance of wrinkles and fill out lines. But they will also fight dehydration so friends would appreciate this little cracker in their stocking. You can’t go wrong with a shimmery body cream at Christmas because more than any other time of year, it’s perfect for Party Season! The award winning Diamond Dust body lotion has a luxurious cream with shimmer tint, which not only gives your skin a soft and supple feel, but leaves it glistening too. So now your skin can match your sparkles! Plus it comes in a sparkly black cracker, so it looks gorgeous too. 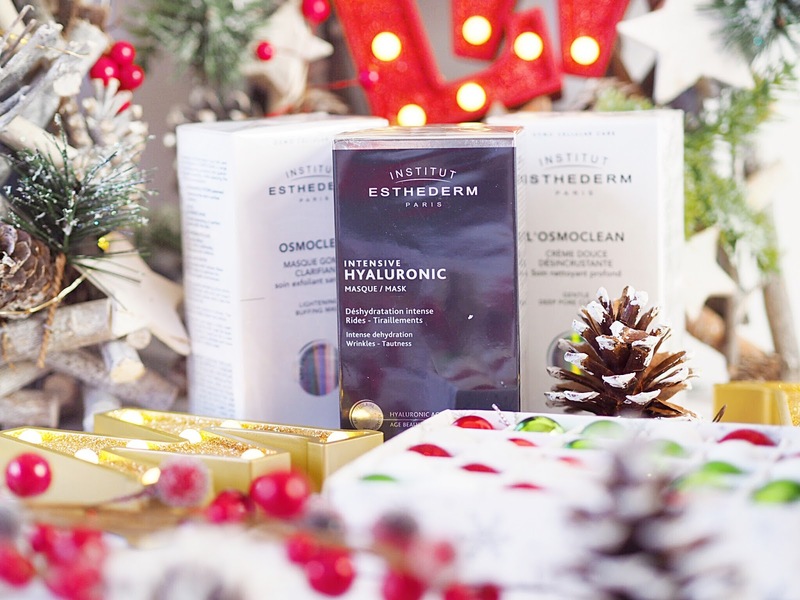 A skincare must-try brand is Institut Esthederm because their products are some of the best, especially for dehydrated or ageing/early-stage ageing skin. 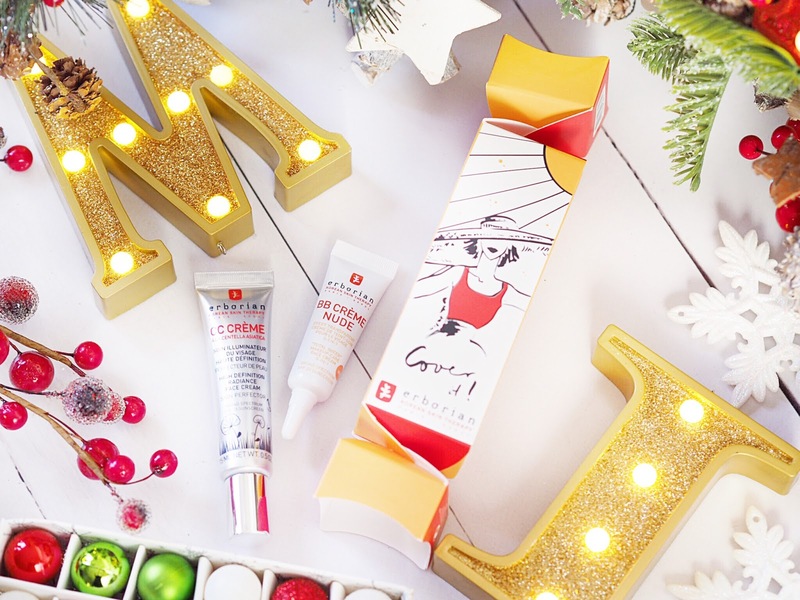 Their Christmas Cracker this year features three best selling products which are hugely popular, no matter what your skin type. It includes their Hyaluronic Mask, Gentle Deep Pore Cleanser and Lightening Buffing Mask. The three products together create this perfect trio of pamper-night goodies and I am a huge fan of the mask. Absolutely one to treat yourself to as well. I LOVE Burt’s Bees. They are a brand I hadn’t tried until this year and I fell in love with their gorgeous lip balms which contain 100% natural beeswax. Since then I’ve tested some of their other goodies and I love them for things like lips, hands and feet. This Gift Set has some of their best goodies (if I do say so myself!) Including two flavoured lip balms (yay!) 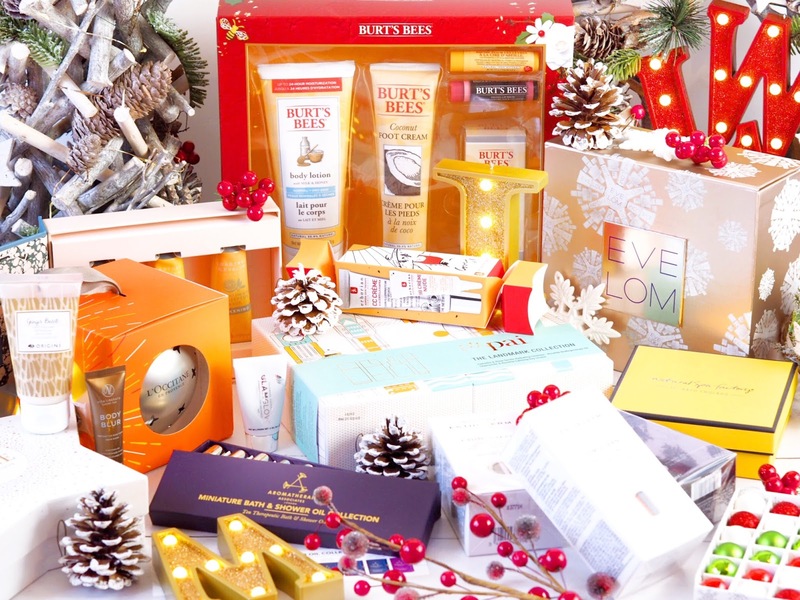 as well as a Coconut Foot Cream, a Shea Butter Hand Cream and a Milk & Honey Body Lotion. 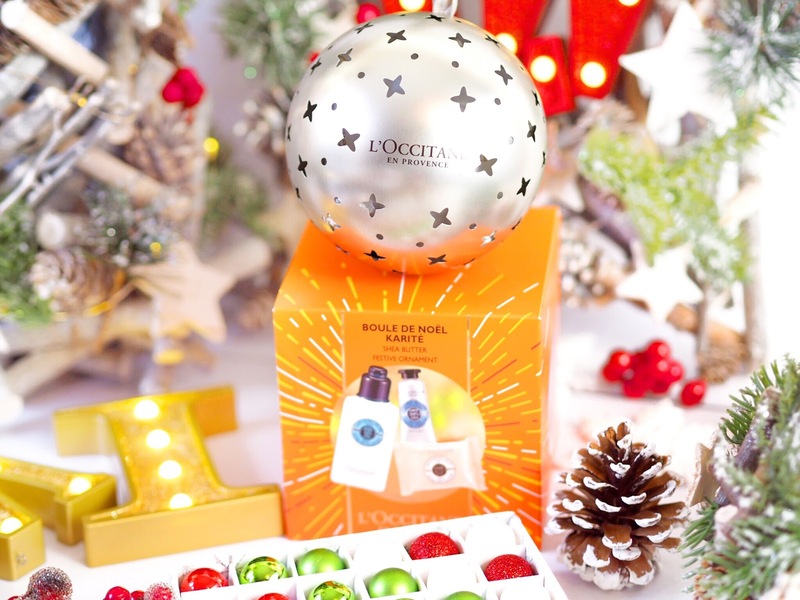 The products smell gorgeous and I would be thoroughly overjoyed to find this under my tree! A six piece set, this is great value for money. It contains six products from Urban Veda’s Radiance range, all of which are travel size and contain a good amount of product. Including everything you can think of including day cream, body wash and body scrubs, as well as others, this set is not only affordable but practical too. Great for holidays and those who travel, but also as a treat and pamper set for anyone who needs a rest. 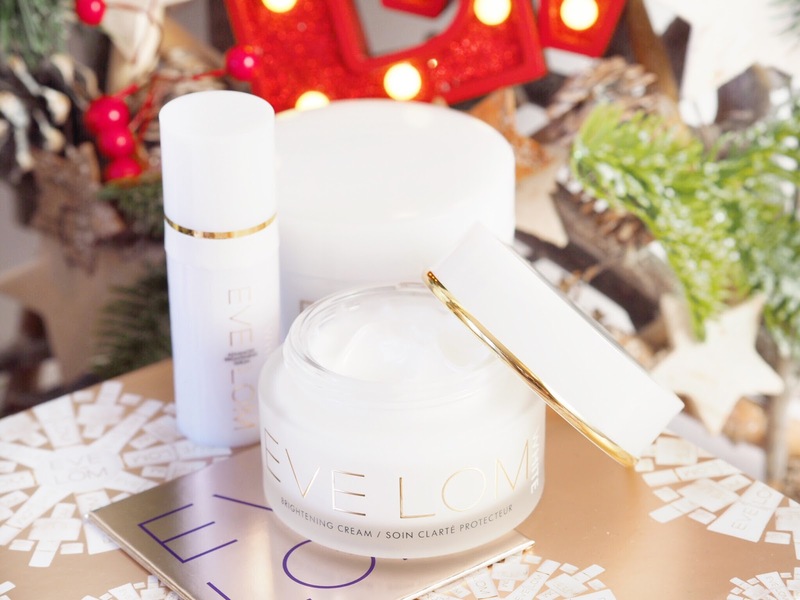 An absolute fail-safe beauty gift at Christmas is hand cream. To me this is because no-one really treats themselves to nice hand creams that often. It’s more like the gift you give/receive, as opposed to something you buy for yourself. 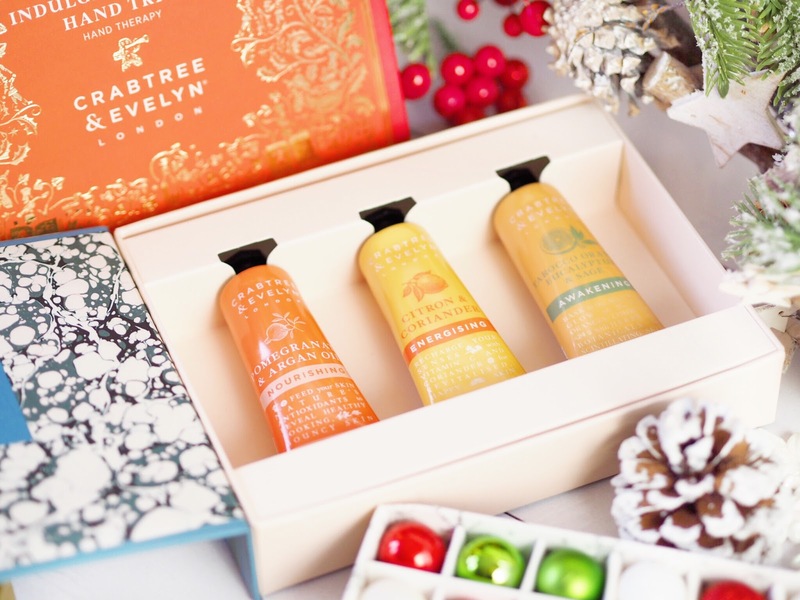 These gorgeous little trio sets from Crabtree & Evelyn are stunning gifts and I’d pay way more than the £18 price tag! 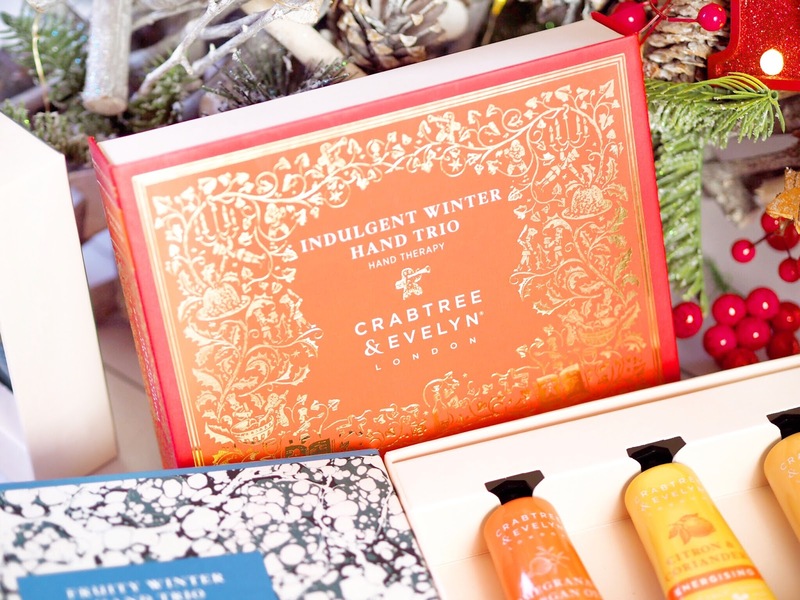 There are three varieties and they all have winter themes and scents, and they come housed in a stunning and traditionally festive box. My favourite is the Floral Winter Trio containing Rose Water & Pink Peppercorn, Lavender & Espresso and Pear & Pink Magnolia. The creams make my hands feel silky smooth and have helped to nourish my dry knuckles – which is a huge relief. These sets are stunning if I do say so myself. The products from Aromatherapy Associates will instantly generate a smile from anyone this Christmas. Mostly because you can smell their gorgeous fragrances through the packaging – that’s how impressively scented they are. 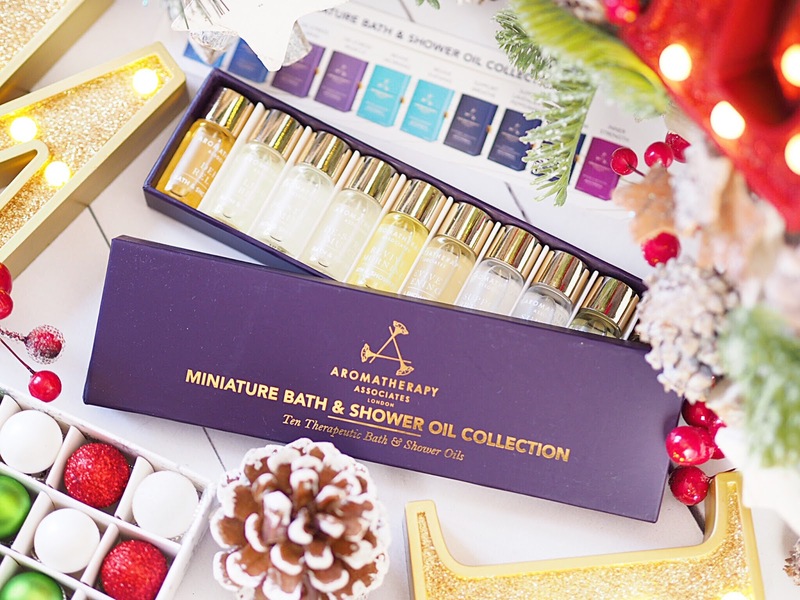 I’ve been after the gorgeous Miniature Bath & Shower Oil set for ages and have been lovingly appreciating it since it arrived! 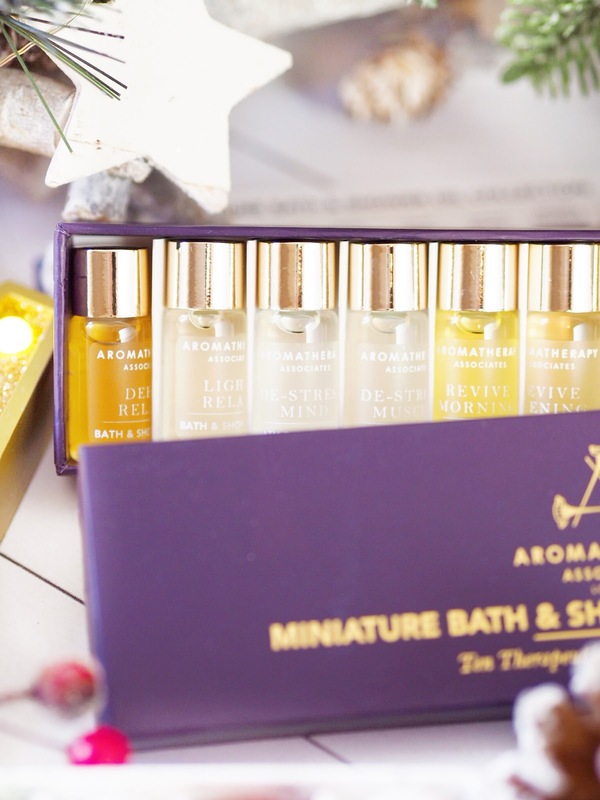 Containing ten of Aromatherapy Associates best selling Bath & Shower Oils, the set has oils for every mood including the need to relax, re-energise and lots more to suit your mood. The set will do one thing – help you find a new favourite oil to order in full size, that’s for sure…or is that just me?! A little box of luxury right there. If you or someone you know has sensitive skin or easily irritated skin, then this is the skincare range they need to try. The Pai products are designed with Rose and Rosehip Oil to reduce the irritation to skin. 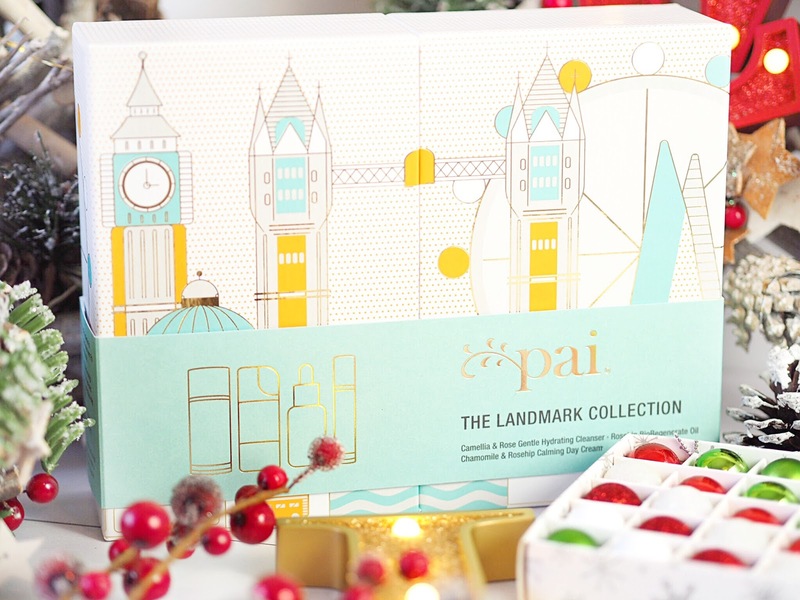 The Landmark Collection comes in the cutest London themed boxset which makes it universal to both men and women. Inside are the best sellers including their Cleanser which has been featured in a lot of press outlets and is great for leaving skin soft and clean. Use along with the accompanying cloth and your skin will look and feel great. Then there’s the Rosehip Oil itself and Calming Day Cream. All of which together will help give the gift of clam skin this Christmas. 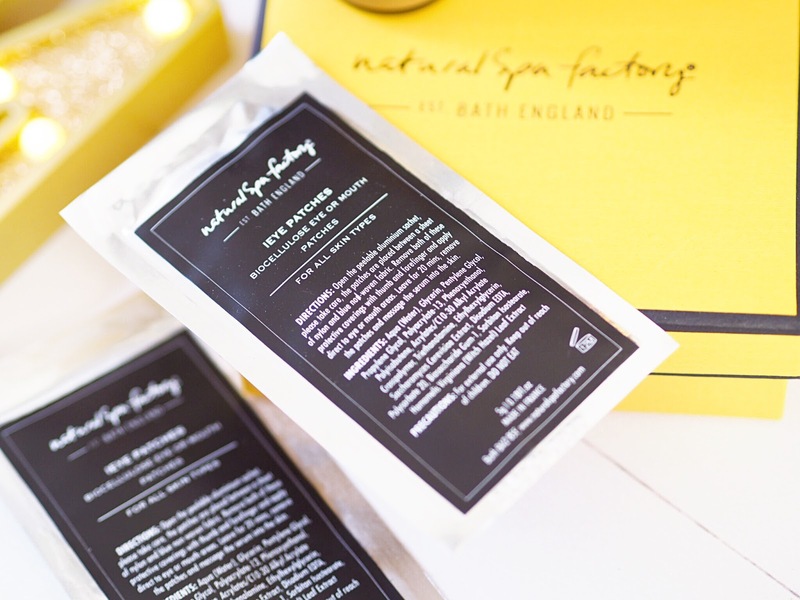 My favourite natural brand, The Natural Spa Factory have a gorgeous three piece kit that’s perfect for Party Season. Their Party Animal Rescue Kit contains two Biocellular Eye Patches which when applied work to reduce the under-eye grey bags and banish puffy skin (I need these immediately!) It also contains the Gold Eye Contour Serum which is going to work to help healthy-ageing processes by nourishing, moisturising and reducing the appearance of them old bags! Not a single person who couldn’t benefit from this set at Christmas! Eve Lom. Where do I even start?! Other than to say any gal would be thrilled to find this under their tree on Christmas morning! The Perfecting Ritual Set may be a blow-the-budget spend, but it’s absolutely worth it because the value of products is much higher! And plus, it comes in the most gorgeously stunning festive gift box. Containing their multi-award winning cleanser, which does pretty much everything you could want a cleanser to do (cleanse, remove dirt, decongest, exfoliate etc) it also comes with a muslin cloth for use too. 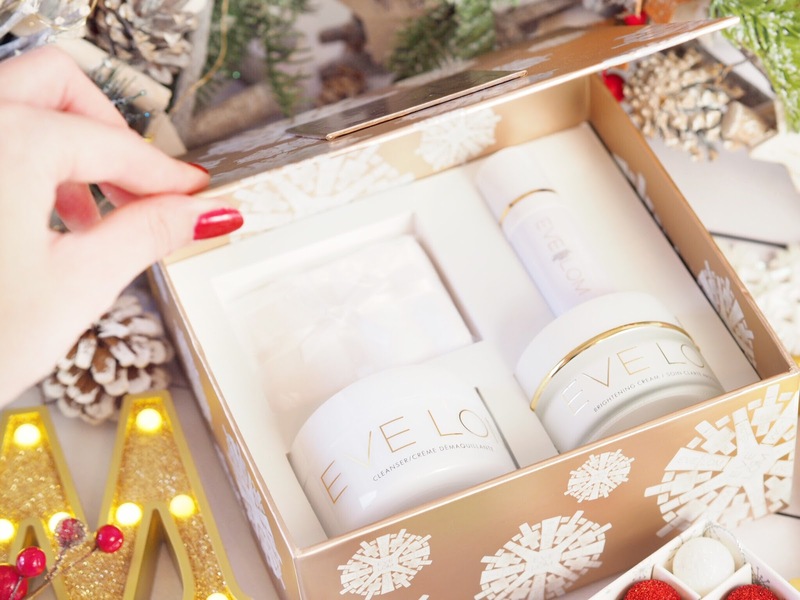 As well as this you get the seriously high performing Brightening Cream and Brightening Serum to bring some radiance to the skin, despite the winter’s ability to leave skin looking dull and lackluster. 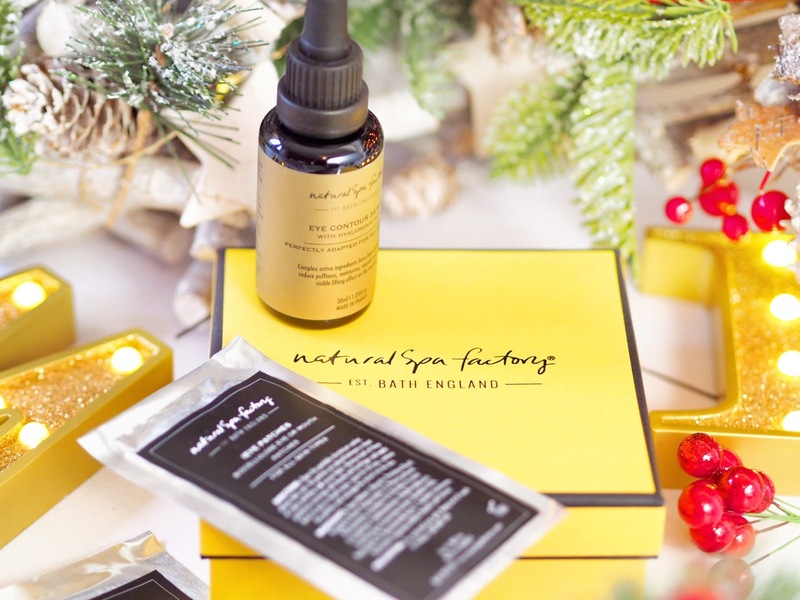 A great all rounder for your perfect daily skincare regime, there will be some happy ladies unwrapping this on Christmas Day! So that’s my top picks for the Gift Sets so far this Christmas, and I must say, there are some SERIOUSLY good picks if I do say so myself! Plus no matter what your budget, there will be something for everyone here. Which of these are you going to buy, and which will you be asking Santa to deliver?